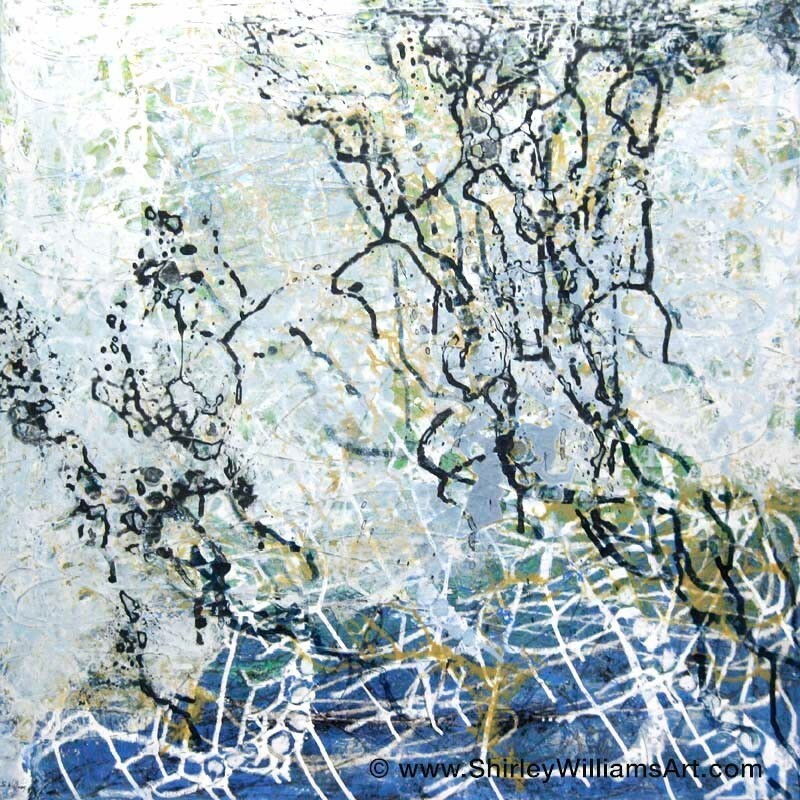 Artist Shirley Williams Featured in Artsy Shark "The Abstract World"
Artsy Shark just published their list of the 24 top painters in "The Abstract World". I was thrilled to be selected from over 1000 submissions. The submission and jury process involved an overview of each artists' paintings on their websites. To my delight, my art was selected to be included. The painting above 'Natural Networks' was chosen to be highlighted. Below is my statement about what inspires me. My multi-layered, organic abstract paintings are inspired by the textures and energies of nature. Instead of painting what I see, I rely on my impressions of unseen natural networks at an intuitive, sensing level.